Peter Sjöstedt-H, Noumenautics: metaphysics – meta-ethics – psychedelics, Psychedelic Press UK, 2015. 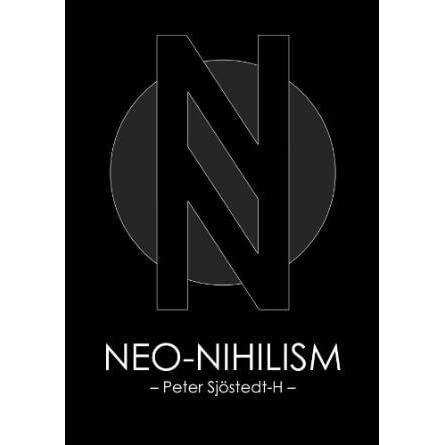 Peter Sjöstedt-H, Neo-Nihilism: The Philosophy of Power, 2017. This text concisely puts forward the case for a form of nihilism - fusing thoughts from Hume, Schopenhauer, and Nietzsche, amongst others. It forcefully argues that morality as we know it is a power structure disguised as knowledge; that law is based upon this false idol; and that thus power is, in fact, the basis of all life. This text inspired the recreation of the Marvel philosopher superhero Karnak. 3:AM: You claim that having a psychedelic experience tends to make materialistic explanations of mind less feasible. How do you understand the ‘hard problem of consciousness’ and what can psychedelic experience offer us here? Peter Sjöstedt-H: When psychedelics gained cultural prominence in the 1960s the ‘hard problem of consciousness’ – coined in 1995 – would have appeared to the bulk of academic philosophers (and other researchers) of mind as an error in reasoning, a false problem. This problem concerning the relation of matter to mind would be viewed as an atheist might view the problem concerning the relation of matter to the gods. In the mid-twentieth century, mind was deemed reducible to behaviour, human neural activity, even to mere linguistic muddles. Thus the concurrence of psychedelic use, conducing crests of consciousness, with academic mental reductivism, condoning consciousness to irrelevance, was certainly unfortunate. It is my stance that psychedelics can offer much to the philosophy of mind, not to mention cognitive neuroscience and psychology – but the hard problem requires primarily much sober cognitive efforts. However psychedelics modes of mind can inform such later sobriety. If we consider then this hard problem of consciousness – ultimately the problem as to how that which is spatiotemporally describable (e. g. neuronal activity) can cause, be caused by, have a common cause with, run in parallel to, or be identical to, its mental correlates which are essentially non-spatiotemporally describable (e.g. blue) – then we note firstly that the problem is today taken seriously in the academe. This newfound (or, re-found) respect was fostered by the logical blockades encountered by the aforementioned materialist reductionists. Immediately can it be seen how psychedelic experience can reinforce such blockades. For instance, materialist behaviourism cannot withstand the psychedelic onslaught: to maintain that mental states are nothing but bodily behaviour when experiencing multiple selves ripping into distant reaches of a cosmos and concurrently smelling the colour of time – all whilst lying down inert – presents itself as an absurdity matching that of any oxymoron. Moreover, psychedelics can offer much in terms of phenomenology – the analysis of experience – as it provides access to undiscovered realms of mentality. I have experienced alien emotions for which no words and all but the single memory exist. I have been raised to heights of aesthetic intensity that could barely be conjectured, let alone experienced, by philosophic aestheticians who have never ventured in this manner. The potential for philosophers of mind is vast as it provides us with new minds: new and elevated mental states. To reduce all this, as is the common temptation, to matter-energy – spatiotemporal describability – seems somewhat insane but appears as a form of the natural propensity to reduce the unknown to the known for peace of mind. My contention is that what we call mind and matter are abstractions of the concrete reality that has both as aspects. Therefore to try to resolve the hard problem of consciousness by wondering how mind can emerge from matter is futile as it is an attempt to explain the concrete from an abstraction thereof – akin to trying to explain how sourness emerges from the photograph of a lemon. Thus the resolution of the hard problem of consciousness lies in understanding the nature of the abstraction, not the mode of an emergence. This has the implication, however, that matter contains elements of mind – and not only the matter within the brain but all matter. This resolution thus leads one to panpsychism. 3:AM: You are a proponent of panpsychism; the view that everything has mentality or sentience. How is this distinct from animism? PS: There are numerous varieties of panpsychism, and so too for animism – but a generally useful distinction is that panpsychism is a philosophic doctrine whereas animism is a religious one. ‘Animism’ was coined in the nineteenth century by Edward Tylor to mean what he considered to be the most primitive type of religion, one that bequeathed souls to objects in nature. ‘Panpsychism’ was coined earlier by the Renaissance philosopher Francesco Patrizi who provided arguments for its plausibility. Thus, at least from a historic angle, ‘animism’ has a negative and religious connotation which stands in contrast to ‘panpsychism’ which has a positive and logical connotation. Many Renaissance thinkers were sympathetic to panpsychism including Giordano Bruno who was burnt at the stake for such heresies in 1600. 3:AM: You make a distinction between what you call ‘the human harbour of ideas’ and the ‘inhuman ocean’ of psychedelic consciousness. Can you talk us through this choice of metaphor, particularly given that you don’t claim the harbour to be a place of safety? PS: Yes, I write in my book that the harbour is not a haven for a noumenaut – a philosophic psychonaut – because even when not in that deep ocean, the ocean soaks its effect upon the returning seafarer. Such a return from psychedelic depths can conduce essential questioning of the society in which one finds oneself, along with its ideologies, customs and moralities. This is certainly a hazard to those whose aim is to harmonize with their culture. I have since discovered Nobel laureate Octavio Paz had similar ideas about the emancipation and nihilism that psychedelic drugs can bring – with nods to Nietzsche. 3:AM: You make a link between psychedelic experience and the idea that the brain transmits, rather than produces, consciousness. This was an idea proposed by the French Nobel laureate philosopher Henri Bergson, and also a key principle underlying Aldous Huxley’s utopian novel Island. How would you argue for such a view, and what is the link with psychedelic experience? PS: My intention in that chapter was to significantly expand upon the connection made by Aldous Huxley in The Doors of Perception between the psychedelic experience and Henri Bergson’s philosophy, primarily gleaned from his magnum opus Matter and Memory. Those in psychedelic circles have all heard of the ‘reducing-valve’ theory Huxley puts forward, but few know the theory in any detail, and how such detail might be applied to the psychedelic state. I have a lot of sympathy for Bergson’s philosophy, though I would not say that I accept it without significant modification. At any rate, his main point here is that conscious memory cannot, as a matter of logic, be ‘stored’ in matter, that all consciousness involves memory, that the relation between subject and object is that of part-to-whole rather than representation-to-object, and that the function of the brain is merely to channel processes from without into processes within the body and potentially back again. Under this hypothesis, we should still expect to see a mind-brain correlation despite the fact that the brain does not produce the mind. The body’s function is to extract from the total memory, that which Huxley calls the ‘mind-at-large’, a small selection that can be utilised for current practical purposes. When we sleep, and at the cusp of sleep, this practical necessity is lost, and so memory becomes more freely and arbitrarily available. I argued in my book that psychedelic intake halts the ordinary practical functioning of the body so that this so-called mind-at-large presents itself in a manner more radical than even dreams or hypnagogic hallucinations. Interestingly, though Bergson did not, to my knowledge, ingest such psychoactive substances, he nonetheless had a very psychedelic-like dream which he conveyed to William James in a letter, urging James to pursue his study of ‘the noetic value of abnormal mental states’. 3:AM: You talk about interpretation of spiritual experience as a culturally influenced act. How do you feel about the use of the word ‘spirituality’ in the context of psychedelic experience? PS: I’m uneasy with the word. Although the word was used in the last centuries to indicate the appreciation of the arts and humanities, today it seems to have returned to its dualist roots, which is the cause for my concern. It implies a substantial division between a spirit and its body, and such a dualism is an ontology which I do not believe psychedelics necessarily foster – despite Bergsonian sympathies. I should say that the psychedelic experience is likely equivalent to a so-called spiritual experience, though I would prefer to call the latter generally an altered state of mind so as not to pre-frame the discussion. 3:AM: Your own psychedelic experience gave you some insight beyond the dualism of good and evil, didn’t it? Could you say a bit more about that, and how your experience led you to make connections between self-acceptance and Nietzsche’s strand of nihilism? PS: Like a heavy dose of Nietzsche, psychedelic experience also shoots a person out of their culture so as to be able to partake of untimely meditations. I have mentioned how such experience can lead to the questioning of one’s unspoken metaphysical milieu, but this in turn can force one to question one’s ethical environment. If the customs of one’s time and place seem absurdly arbitrary after one has experienced states seemingly celestial, it is no stretch to begin questioning the objectivity of the morals into which one was raised. At this point, psychedelic experience and Nietzsche’s anti-moralism intersect. The analysis of such an anti-moralism is contained in my book chapter named Neo-Nihilism, a text that spawned a Marvel superhero – and this in turn leads to the psychedelic transhumanism that is to come. 3:AM: You feel that to deny philosophers of mind access to psychedelic substances is akin to denying instruments to musicians. Why do you see psychedelic substances as essential to the philosophy of mind, and how does this play out in your interactions with psychedelic-naive philosophers? PS: As well as what I have said previously on the first question, I should add that psychedelics can inform the following relevant strands. Study into the neural correlates of consciousness, and the nature of that correlation, has already been provided interesting data from psychedelic use. For instance, it has been found that a decrease in brain activity can correlate to an ‘increase’ in mental activity – along Bergsonian lines. It has been found that visions under the influence of LSD correlate to regions of the brain other than the ‘visual cortex’. This alone has ramifications on what is known in the philosophy of mind as ‘multiple realisation’ – a concept that first made its mark to undermine the psychoneural identity theory prevalent in the mid twentieth century: that a quale, such as a colour, can be realised by multiple types of matter and is therefore not identical to any particular one. Related to this is the interesting case of the psychedelic Salvia divinorum (‘the diviner’s sage’): it presents a very different molecular structure to most other psychedelic compounds yet its experiential effects are not too distinct. Further applications of psychedelic experience pertain to questions concerning mental causation and epiphenomenalism, and the millenia-long debate about the reality of universals. Regarding the latter, I direct people to my article on Whitehead and psychedelic experience wherein I focus on Whitehead’s variety of universal: the ‘eternal objects’. I have mentioned previously some of the untapped possibilities for phenomenology and aesthetics. Augmenting phenomenology I’d add that the study of the phenomenological self can make prolific strides from psychedelic introspection as the self is often shattered or lost. Furthermore our subjective experience of time can be radically altered. I have even conjectured, in line with Whitehead and Bergson’s non-representationalist view of perception, that psychedelic experience may provide an experiential rather than merely intellectual route out of solipsism. Augmenting aesthetics, I’d add that discussions of the sublime, more popular a couple of centuries ago with Burke, Kant, Schopenhauer, et al, can now be given a spur with these chemicals. Kant is known for claiming that the starry heavens above fill his mind with ever-increasing wonder and awe – those sublime feelings can be amplified and alienized now, and thereafter analysed once more using broader content. When I talk about these wonders and potentials to psychedelically-naïve philosophers, they almost always show a burning curiosity. Yet they hesitate to join this new project for various reasons, including of course its general illegality and medical fears mostly arising from historic propaganda – they do not want to risk the health of their minds, the tools of their trade. They often tell me this in a pub whilst drinking alcohol, a drug with medically-established dangers. Another reason for hesitation is funding opportunities. If psychedelics were decriminalized, funding would become more accessible and then no doubt we would see a surge in studies. 3:AM: Many people think of hallucinations when they consider psychedelic substances; of seeing things that ‘aren’t really there’. You argue that ordinary everyday consciousness is a hallucination, in the sense that it is a fractional perspective of reality. Can you say a little more about the relationship – as you see it – between hallucination and consciousness? PS: No one can deny that our sense organs are limited in their registration of the environment to a fraction of that which is there – the hairline slit of electromagnetism that we see as colours being the typical example. Thus our perceptual consciousness in this sense alone is not a picture of reality in its fullness, but merely an evolved abstraction, or extraction. As well as that perceptual distortion of that which is real, there is often a conceptual distortion – one which A. N. Whitehead refers to through fallacies such as that of misplaced concreteness and the fallacy of simple location. A prime example of the former is related to the panpsychism spoken of above: we commonly consider the ‘matter’ we see around us as being theoretically comprehended under a spatiotemporal description, but this is an assumption which only leads to later mind-matter paradoxes, such as the Hard Problem of Consciousness. So it seems that both our common perceptions and our common conceptions provide our consciousness too little – and in this sense do I mean that consciousness can be seen as a hallucination: we mistake the ghost for the real. Psychedelics provide us with a breakdown of this ordinary consciousness, and they can at times seem to provide us with more varieties of perception, conception, feeling, etc., that can augment that of the common menu of ‘everyday’ consciousness. The question regarding the veridicality of ineffable phenomena seemingly exogenous is one for a future breed of theologians. 3:AM: You cite A.N. Whitehead’s description of philosophy as mystical, its purpose being the rationalisation of mysticism. What does it mean to rationalise mysticism? PS: The Whitehead description refers to his ideal for philosophy: the uncovering and instantiation of new ideas that transcend and often transgress the stagnant marsh of old and common ideas. At first these new ideas are mystical in the sense that they are novel and thus part of the unknown. It is then philosophy’s prerogative to examine and then rationalize these initially-mystical states and ideas. Psychedelic phenomenology would be, in my view, a principal enterprise for such a rationalising of mysticism. I should add that ‘rationalising’ here does not mean reducing, as in the connotation of the common phrase, ‘rationally explained’. Rather than to reduce to what is established knowledge, ‘rationalise’ here means to augment knowledge both in terms of content and the organisation thereof. 3:AM: You talk of the intuition of unity and identity provided by psychedelic and mystical experience, which suggests a distinctive, psychedelic worldview – one of peace and acceptance, perhaps. This seems at odds with Nietzsche’s Will to Power, but you say the two must interweave. What might that look like? PS: An intuition of unity and identity with all is commonly reported from large doses of psychedelic compounds. The question still remains as to the veridicality of such an intuition. The intuition harmonizes well with Schopenhauer’s philosophy because here differentiation is conditioned by spatial and temporal delineations, but space and time are but projections of the mind upon reality – so that reality in itself is One, as such a henology of sorts. Nietzsche inherited much from Schopenhauer, but rejected such a henology. The wills to power are a real multiplicity and are unified only to limited extents so to form greater power structures such as that of the human organism. So I should say that a henological worldview induced via psychedelics is incompatible with Nietzsche’s later power philosophy. I personally side with the latter now, with qualifications, and so reject the veridicality of such henology. Furthermore, attempts to renounce the will (or, ‘the ego’) by reference to a perceived unity, is itself a means of the will to power. Ultimately, both unity and multiplicity are part of nature’s modus operandi and thus demeaning either is to demean nature herself. 3:AM: You have written about Nietzsche’s use of psychotropic drugs – particularly chloral hydrate – and other philosophers who have influenced you, such as William James who argued that nitrous oxide intoxication was the key to the secrets of religion and philosophy. And you’ve suggested that the Ancient Greeks were all tripping whilst they worked. To what extent do you think Western philosophy may have been influenced by psychotropic substances? PS: I conjectured that Plato ingested psychoactive substances in the kykeon potion that initiates were required to drink at the Eleusinian Mysteries. That this kykeon contained what we today would call a psychedelic substance is more plausible than its contrary, for numerous reasons. Plato’s visions here are reported in his Phaedo, also known as ‘On the Soul’, wherein Plato speaks of intuiting body-soul duality which he subsequently in the dialogue seeks to rationally justify, alongside his theory of Forms. If one accepts A. N. Whitehead’s proverb that the European philosophical tradition consists of a series of footnotes to Plato, then a case can be made for the significance of psychedelics to philosophy as we have it. The self-proclaimed ‘chemical philosopher’ Humphry Davy wrote in 1800 a treatise on the philosophical ramifications of nitrous oxide intake, siding with the idealists – and thereafter we can follow a line of philosophers who were indebted to psychoactive intake. Figures include Nietzsche, James, Benjamin, Jünger, Paz, Sartre, Foucault, and Nick Land amongst others. William James, incidentally, wrote that Hegel’s philosophy only became clear to him under the influence of nitrous oxide. In the 1950s Aldous Huxley, psychiatrist Humphrey Osmond (who coined the term ‘psychedelic’), and neurophilosopher John Smythies almost caused a philosophic-psychedelic precedent with their ‘Outsight’ project: leading thinkers were to be gathered to take mescaline under supervision and then record their experiences. Unfortunately the funding for this project was never awarded – a great pity as invited and excited participants included C. D. Broad, A. J. Ayer, H. H. Price, J. C. Ducasse, Gilbert Ryle, Carl Jung, and Albert Einstein. 3:AM: You describe the psychedelic mind-state as freer, but less focused. What is your position on the use of psychedelic substances as cognitive enhancers? PS: At the moment there is much interest in ‘microdosing’: taking psychedelics in minute quantities to enhance cognition, in the vein of nootropics. Whether microdosing is effective as such is an empirical matter for which studies have been commissioned. If it turns out that microdosing is effective in boosting memory, logical intelligence, artistic aptitude, and so on – as is claimed by many – then, with most of the transhumanists, I am in favour of their use caeteris paribus. An interesting consequence of such a finding would be the indubitable interest the military would gain in their use, once more. Nootropics are already used by the military – for instance, the U. S. Airforce use modafinil – and so it might so happen that, contrary to 60s counter-cultural values, LSD be used to expedite acts of war. I should add that macrodosing, i.e. using usual doses, also certainly act as cognitive enhancers – not only during the experience itself but as creative goads. I have argued elsewhere, for instance, that parts of Nietzsche’s Zarathustra were inspired by opium-induced dreams. 3:AM: There is growing interest in the use of certain techniques that are intended to bring about a similar mind-state to the psychedelic experience, such as Stanislav Grof’s holotropic breathwork. What is your experience of such techniques, and do you feel they have something similar to offer to philosophy of mind? PS: I have very little experience in these techniques, except for brief excursions into meditation. I believe that they could very well yield important information for the philosophy of mind, such as that suggested by Evan Thompson. I have, coincidentally, of late corresponded with Dr Lenny Gibson who was one of the first to write about A. N. Whitehead’s philosophy in relation to psychedelic experience. He now runs sessions on holotropic breath work in America and I look forward to learning more about this in the future. I’ll be introducing him and his talk at the largest psychedelic research conference in Europe, Breaking Convention, in the London summer. 3:AM: And what do you see as the ethical issues around all this. Do you see them as being nothing but an ethical boon, or is there a sinister side? After all, most technologies bring with them a Frankenstein effect. PS: As a good Nietzschean, I take a positive angle on the sinister: with greatness comes terror, as he professed. There is a dark side to the psychedelic experience that is mostly circumvented in the current emphasis of psychedelia with therapy. I have experienced depths of sublime terror for which Milton’s lines read as nothing but a playful dip. In fact, such depths are a prerequisite of genuine empyrean revelation for the theologian Rudolf Otto. I understand that for many people such possibilities are a redline that prevents experimentation. I also imagine that for others such experiences can be psychologically damaging, especially where the victim has religious inculcations. Ernst Jünger thought that psychedelics should not be used by the majority of people, and perhaps he was wise rather than wicked in such psychonautic elitism.